MOSCOW, April 8. /TASS/. 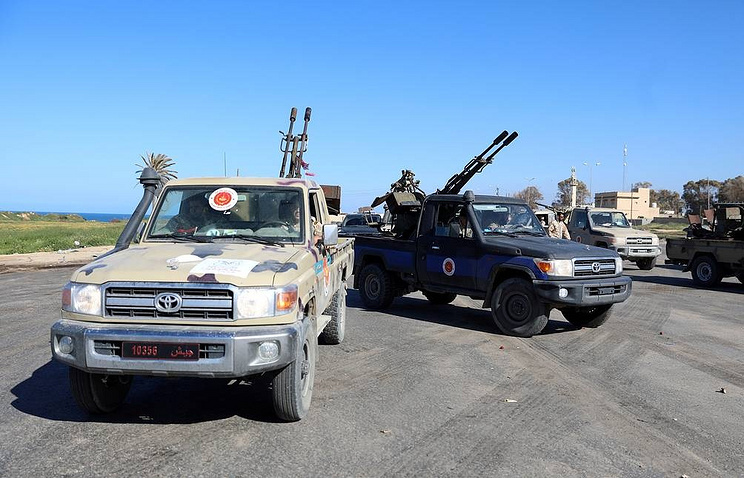 Tripoli’s only operating airport Mitiga International has suspended all flights following the Libyan National Army (LNA) air force bombardment under the command of Field Marshal Khalifa Haftar, the Al-Wasat Internet news agency reported on Monday citing a source in the airport. According to the news agency’s reports, the airport suspended all departures and arrivals and evacuated passengers. There were no casualties reported after the attack, no jets were damaged. Earlier, the Alhadath TV channel reported a raid by LNA aircraft on Mitiga military airport that has been operating as an international airport since 2014. The raid’s target was the landing strip adjacent to the airport. Hey Buddy!, I found this information for you: "Tripoli airport suspends operation amid Haftar’s air strike". Here is the website link: https://russophile.org/tripoli-airport-suspends-operation-amid-haftars-air-strike/. Thank you.